Home / Self improvement / Can you target fat loss to a certain area? The local fat and the ways to make it disappear is one of the hot issues every summer. But is summer the right time to discuss about this issue? What can you do throughout the year so as to get ready for the beach? 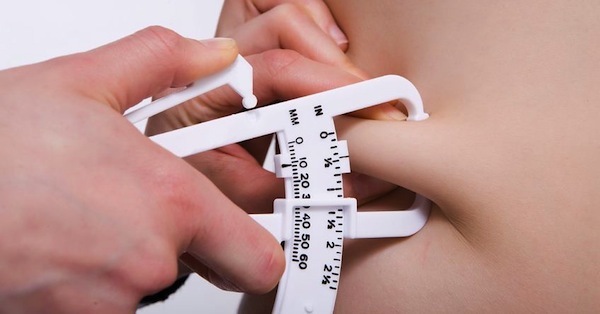 How can you lose weight and is there a way to lose fat from a particular area? What do we mean when we refer to “local fat”? In the human body there is a kind of cells, the adipocytes, which have the ability to store energy. They are in essence the storages of the human body. Women usually have them on the buttocks and thighs while men have them around the belly. Other areas in which fat can be stored, are the ​​arms, back and legs. When we refer to “local fat” we mean the deposition of adipocytes which, when combined with poor body construction can create aesthetic and sometimes health problems. Can you target weight loss to a particular area? It is known unfortunately that targeted weight loss is not feasible. Especially if you have a bad body structure since childhood the problem can only be reduced; if it was acquired later things could be a little better, but still we can’t be sure that it will be eliminated. This occurs because the loss of fat can only be comprehensive and in no case it can be achieved locally. So whenever an attempt to lose weight is made, there is a loss of weight, but the problem remains as there always will be fat accumulation in some spots of the body. Is there any way to lose local fat? Do Sweating Forms and Bands help? Is liposuction the solution? Sweating Forms and bands not only don’t help, but can be dangerous since they prevent the extraction of perspiration, thus increasing the risk of dehydration. You may notice the region has slimmed a little, but it’s because you have lost some liquids and not fat. By the time you drink some water, the region will return to its previous state. Regarding liposuction, keep in mind that we are talking about a surgery. So, it would be the last option, and only if there is a really big problem. So is exercise and right nutrition the best way to lose fat? Surely this combination is the most appropriate way to face the problem. Speaking of diet we should clarify that we don’t refer to deprivation programs that may turn out to be dangerous, but to individualized diet programs depending on the person’s needs. This is essential because the effort will be long-term and therefore needs to be customized upon the activities of the individual, such as the eating habits, special situations (illness, pregnancy), season etc. Regarding the exercise, it is a great asset although some people don’t use it the right way. There is a view that by exercising specific muscles in the respective areas of our body liposomal stores are activated to produce energy and thus to achieve local fat loss. This is utterly false. Unfortunately, most people ignore it and suffer by doing abs to lose belly fat. A typical example is the tennis players; the hand they use to play is more toned, but the subcutaneous fat in both hands is absolutely the same. So, the best way is a combination of aerobic and anaerobic exercise. Which is the best exercise to lose local fat? What is necessary to be done in the first place is to change the energy balance, in other words to burn more calories than we receive through food so that the body can consume / use some of the stored energy from its storages. It is needed, therefore to do some form of aerobic exercise at least 3-4 times per week for no less than 45 ‘in submaximal intensity. Such exercises are running, cycling, jogging. The Step exercise can help but you should be very careful because it may hurt your knees. A combination of exercises can certainly be done. Swimming is also great but it is only recommended for very good swimmers. At the same time, work with the muscles that are located in areas where there is the problem. When some pounds are gone, that point will look much better as we will have achieved strengthening the specific muscles. Then you will need to think smart. Our aim is to exercise the muscles that are around the problematic area. If for example there is a fat problem around the belly, we should exercise the back muscles so that the problem won’t be so obvious. If the problem occurs to our buttocks we should exercise the muscles of the abdomen and thighs, and if the problem is on the thighs we should work with the gluteus. How long does it take to lose fat? There is no specific answer to this question. It depends on the size of the problem, age, the person’s consistency, the diet program etc. It may require six months or even years. What must be understood is that there is no magic and easy ways and that improvement can be seen only through proper nutrition, exercise and above all, patience. Maybe now you can understand why this topic is well-timed in all seasons. Exercise is not a matter of style. It is above all a way of life.